Ingenium introduces a completely new direction in fixed asset tracking. Based on the leading asset management paradigm, Ingenium takes full advantage of the latest technology by adding the convenience of web access making it best of breed and class for any user. An entirely redesigned, highly intuitive web user interface. A mobile application downloadable from Google Play or the Apple App Store. Convenient dashboard to monitor the big picture. Additional data fields to track more critical information and easy to use change history. Best of breed encryption and security. All data is housed on highly secure and redundant Microsoft Azure servers. Granular pricing model so you only pay for what you use. 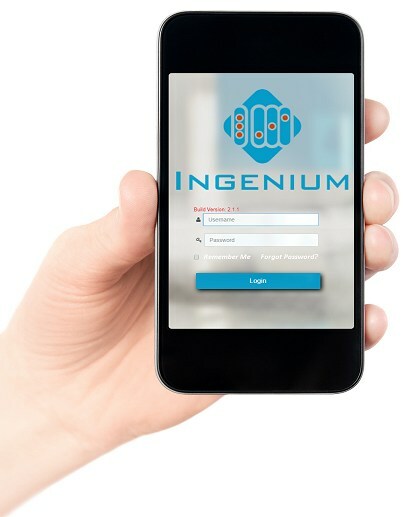 Ingenium is the most complete and powerful cloud based asset tracking software we have ever built. Bar none! Three different mobile data collection apps. Complete audit trails with clear change history tracking. Ability to adapt cleanly to your environment through the use of user defined date, aliases, multiple data types, custom views and more. Two inventory types for grouped and individual assets. Robust import/export capability to easily integrate data and transaction activity to other applications Over 200 standard reports and report writer to get a clear picture of your assets. Optional apps for Check-in/Check-out, SL Depreciation mobile. An exclusive relational design that delivers the pinnacle of efficiency and data accuracy. Fixed asset inventory is just one piece to the asset management puzzle. At Asset Systems, we offer the complete asset management solution with AssetWIN—a robust fixed asset tracking software allowing you to keep your inventory up-to-date, generate custom asset reports, remain tax compliant, and more. AssetWIN is also fully integrated with mobile functionality so you can track your assets from anywhere, at anytime. Each project is managed by our full time staff of inventory specialists. Each team member has years of experience in performing inventories and in using the technology tools that underpin the data collection process. Built into the inventory process is a verification procedure to review and correct the errors that can occur during the field inventory process. It assures near perfect results. You Name the Asset, We Can Track It for You. Successful asset management projects take a broad view of how this application will fit in the organization.Assuring that fixed asset accounting is complementary to other systems requires a paradigm shift in many organizations. Download our white paper to learn how to implement best practices for an inventory project to ensure yours succeeds. "Great customer care. Not only do they communicate with us, but they listen to new ideas and improvements that the customer can add. I see the amazing program that AssetWIN is getting better and better. We currently use two databases; one for assets inventories and one for our safety records and documents. The User-Defined Fields make this program limitless in its application." "The AssetWIN products that MNTC purchased have allowed us to gainfully record and monitor our fixed asset inventory. We have since asked Asset Systems to help us streamline our process and they willingly worked out a solution that has cut our man hours by half and increased our productivity by two-thirds. In an ever-changing environment, it is imperative to have customer support that is knowledgeable and willing to help. Asset Systems has accomplished this for us at every turn."